The Ridgeback Velocity has been the favourite among London commuters for over 15 years and is back this year as strong as ever. Not to break with tradition the Velocity is packed with great features that make this bike the perfect machine for London commuting. Its lightweight frame and fast steering make is swift and nimble through traffic while at the same time not compromising on safety and comfort. As standard it comes with an adjustable handlebar stem which can convert the bike from a low sporty riding position to a more pedestrian upright one in a matter of minutes. It has mounting points for full mudguards to keep you dry and rear mounts that can accommodate a standard rear pannier rack (no 'disc brake' specific rack or modifications required!). 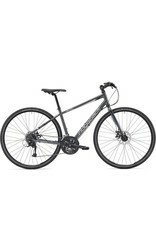 It is equipped with a Shimano drivetrain and Shimano hydraulic disc brakes ensuring that the ride is smooth and quiet and that you will be able to stop reliably in all weather. 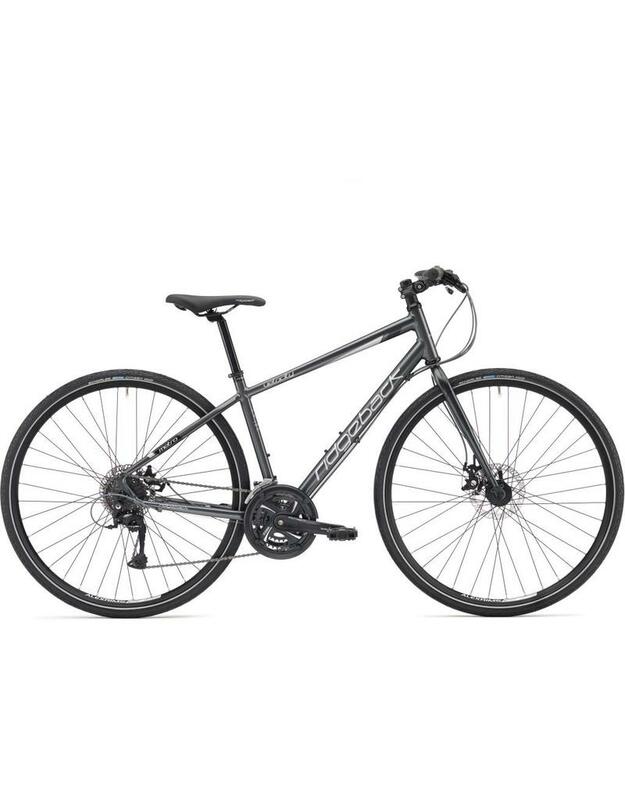 Like all bikes in the Ridgeback range it comes with a lifetime warranty on the frame and a 2 year warranty on the components.